A complete pre-packed pitch-matched cymbal set-up. It's a perfect add-on for the existing set-up and includes a FREE 14" Filter china. Set consists of: 16" Synthetik Crash 18" Signal Crash/Klub Ride 14" Filter China - free! 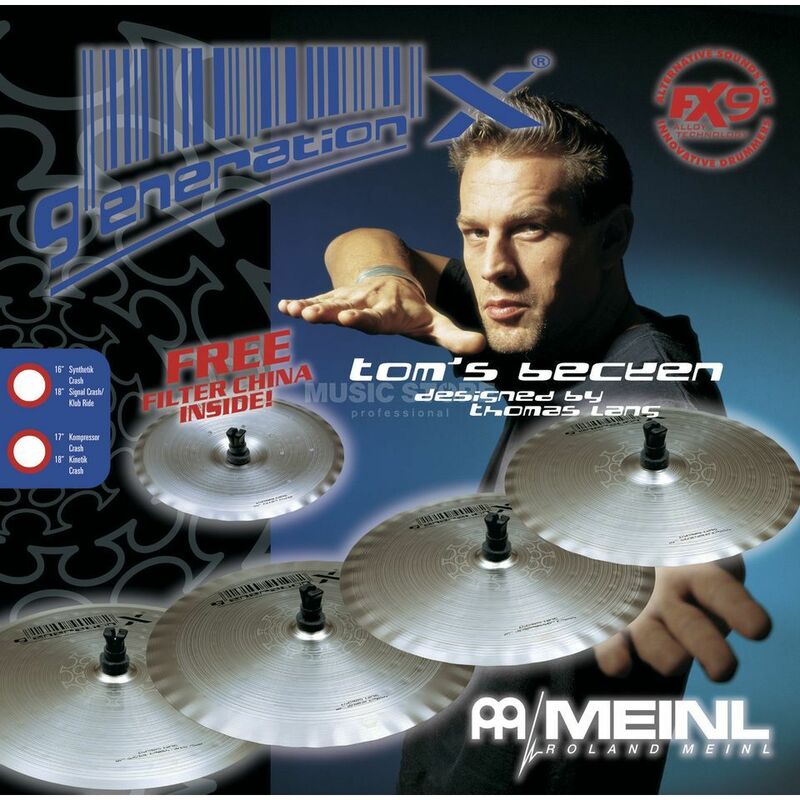 The Generation X Tom’s Becken are a pitch-matched range of contemporary crash cymbals that provide acoustic and electronic drummers with modernsounds that resemble artificially engineered cymbal samples. A perfect range for electronic drummers since they are quieter than most crash cymbals. Tom’s Becken are "db compressed" and ideal for rehearsal rooms as well as controlled recording environments (close miking recommended). Their feels is flexible and soft.